The radical change in our coinage that was taking place in the early 20th century was not quite done by 1916. With the new Lincoln cent and Buffalo nickel now in circulation, and changes to gold coinage, it was now time for a change in silver, specifically, the dime, quarter and half dollar to undergo a facelift and eliminate the uninteresting Barber designs. In late 1915 a design competition was announced to replace the designs on the dime, quarter and half dollar. In 1916, Mint Director Robert Woolley told Mint Chief Engraver Charles Barber that Hermon Atkins MacNeil's design had been accepted for the quarter and that MacNeil would be visiting the Mint to obtain information about preparing the needed relief models. As Walter Breen writes in his book entitled Complete Encyclopedia of U.S and Colonial Coins, “Barber was as usual, completely uncooperative.” Assistant engraver George Morgan, who would later become chief engraver upon Barber's death, was apparently more helpful. In late May of 1916, with Morgan's help, MacNeil's models that could be used for fie preparation were approved. The first Standing Liberty Quarter coins came of the Philadelphia presses on December 16, 1916 and the series continued through 1930. A mere 52,000 pieces were minted in those last two weeks of 1916 and were released to the public along with 1917 dated coins in early 1917. Legend has it that shortly after the release there was a public outcry over the exposed right breast of Lady Liberty. Others complained that the small eagle looked like a pigeon. Whether this led to the design change is not well documented as there were also stacking issues with the Type I coins. In any event, the design was changed in 1917 to cover the right breast with chain-mail as well as minor changes to the back of the coin which moved three stars beneath the eagle, thereby raising and centering the eagle. Thus was born the Type II Standing Liberty Quarter. After a few years in circulation it became apparent that the date was wearing off way to fast. Unlike the Buffalo Nickel, someone at the mint did make changes and in 1925, the date area was lowered as to be protected by the rim of the coin resulting longer wear on the date field. Thus was born Type III which many consider a subtype. In production for only fifteen years, the Standing Liberty quarter suffered an early demise. 1932 marked the 200th anniversary of George Washington's birth was introduced as a circulating commemorative which is still in circulation today. As one of our most beautiful coins, Standing Liberty quarters garner quite a following. A complete set in circulated condition, except for the 1916, can be had with only a few coins going for over $100 in circulated condition. Many of the later dates (1925 and after) in decent condition can be had for under $5.00. When grading this series for higher end coins, look to the right knee and center of the shield on the obverse and the eagle's breast and left wing on the reverse as these will show wear before other areas. Additionally, very well struck coins will be graded as Full Head (FH). Coins graded as FH are much scarcer and will demand a substantial premium over non FH in the same grade. In order to be graded FH the coin must show three leaves in Liberty's hair, the hairline along Liberty's brow must be complete and the ear indentation must be evident. The year 1917 consisted of Type I and Type II coins. Although the 1917-D Type II had a higher mintage (6.2 million vs. 1.5 million), the 1917-D type II in good (G4) condition retails for $40.00 vs. the 1917D Type I which goes for around $28. Since there were so very few 1916 coins, and they were produced in Philadelphia only, the folks out west probably thought 1917 was the first year and hoarded the first coins, that being Type I and ignored Type II coins of the same year. This price differential is also apparent in the 1917-S Types. Philadelphia minted far more coins in both Types in 1917 than the other two mints so there is not a big difference in price for this mint/date. For the common collector, filling the earlier dates, those before 1925 can become costly. Coins in G4 grades are usually not that eye appealing and can still cost you well over $100 such as the 1919 D & S, 1921 and 1923-S. Obtaining these in higher grades will reach near $1000 and well over $1000 for the 1923-S. For most other dates prior to 1925, consider spending $50-100 per coin. As we get into coins dated 1925 and after, prices drop considerably. This primarily due to the change to the date that enabled to withstand more wear. As previously mentioned coins dated 1924 and before wore the date out quickly. Coins dated 1925 and after were better preserved. It was not uncommon to find dated Standing Liberty quarters in circulation as late as the 1950's. There one exception though to those 1925 and later quarters. The 1927-S was the 2nd lowest produced coin of the series with a mintage of only 396,000. Although this is a very low mintage, you can still obtain a F-12 coin for less than $100. Coins above that grade jump in price considerably. 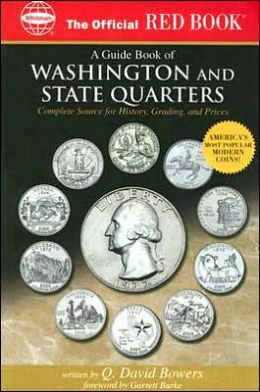 It is interesting to note that the famed 1932 D and S Washington quarters had higher mintages than the 1927-S yet you can get a G4 1927-S for less than $35.00 yet the 1932 D or 1932 S will cost you around $150. 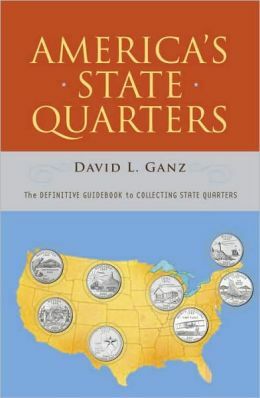 This anomaly changes though for higher grades as the 1927 S skyrockets in price while the 1932 quarters go up in price gradually until you reach mint state coins. As with many series of the day, Philadelphia was the main producer of coins while the Denver mints and San Francisco mints had lower production totals making mint-marked coins “generally” more difficult to find and more expensive. The only highly recognized error in the series is the 1918/17 overdate. This coin in FH Mint State condition exceeds the prices of the 1916 coin. (in MS-65 FH the 1916 lists for $35,000 while the 1918/17 lists for $300,000). PCGS has not yet certified a FH ms-65 FH 1918/17 overdate and has certified only 34 FH coins. In G4 condition the coins lists for $1,700. There have been other reported errors/varieties such as small/large mint marks for the 1928-s. 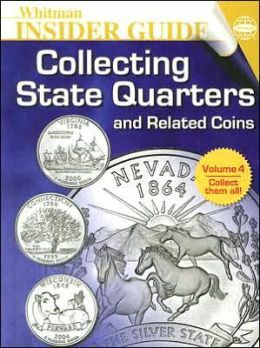 If you are into collecting errors and varieties for the Standing Liberty quarters then the book for you is Standing Liberty Quarters: Varieties and Errors, written by Robert Knauss. 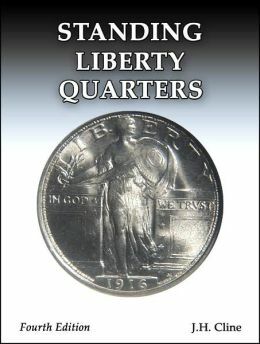 There were no official proofs produced for the Standing Liberty quarter although several satin-finish proofs of 1916 and 1917 are reported to exist.